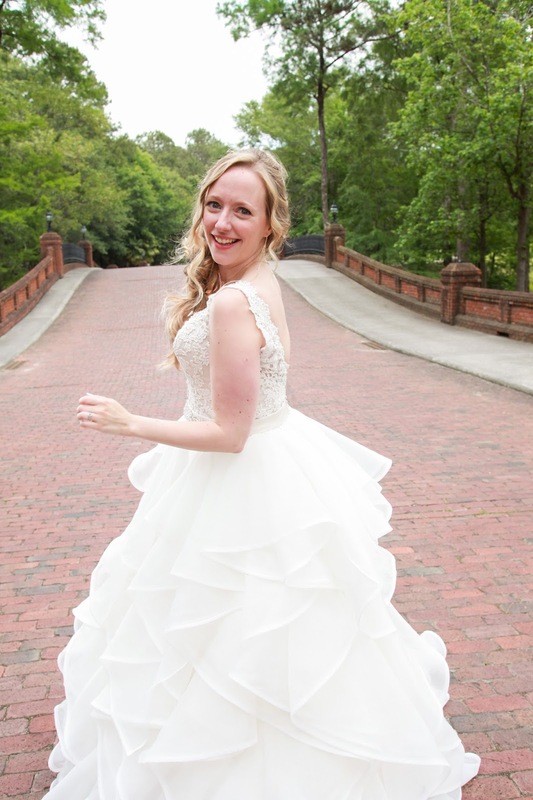 Jordan and Charlene Deva were married in May at River Landing in Wallace, NC. I got to know them over several months because I choreographed their first dance and had many dance lessons with them. I was also their emcee and my husband Randal was their DJ. I learned pretty quickly that these two know who they are and they know what they want. I really admire those qualities. They are vegan. Charlene has been vegan for 15 years. Jordan has been vegan about three years. He made the change while dating Charlene and coming to the realization that they'd probably spend the rest of their lives together. When Charlene and Jordan started planning the wedding, they made food a priority. "Creating a vegan wedding was at the top of the list of things important to us. We're foodies anyway so we wanted to make sure the food would be amazing because it was a great opportunity to showcase how great vegan food can be for our family and friends," said Charlene. 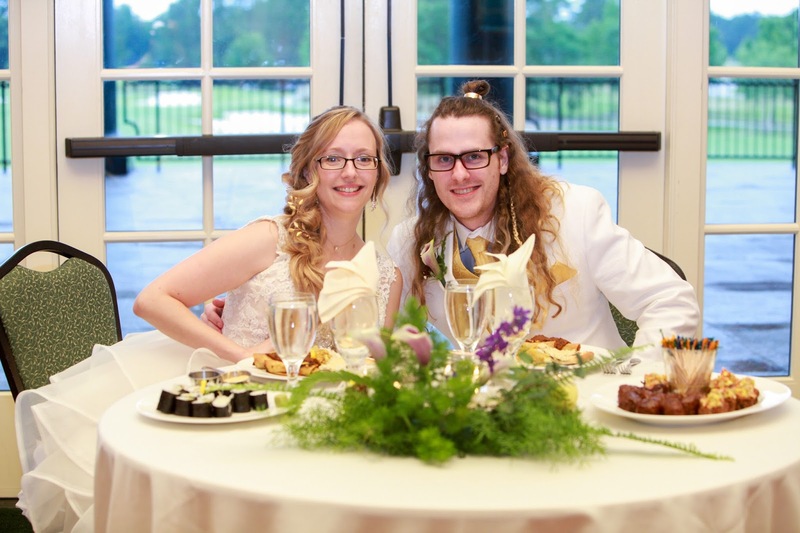 The couple says the chef and staff at River Landing had experience with vegan food but had not done a completely vegan wedding. Jordan says they had to make their wishes crystal clear with their venue coordinator. "It took a couple of conversations before she got that we were having a completely vegan wedding. She'd say, you could have other things for people who don't want vegan food. We were like, no, we don't want to do that. Paying to have an animal killed is an ethical qualm for us." The couple talked with their chef, Chef Ben, a lot! They insisted on tasting as much of the food as possible. "Because we cook so much, we knew recipes that would work so we came to him with a lot more ideas and recommendations up front and even loaned him our cook books because we knew exactly what we wanted." The menu included vegetable curry, vegan enchiladas with mole' sauce, vegan sushi, pizza, black bean cakes, and sweet and sour vegan meatballs. 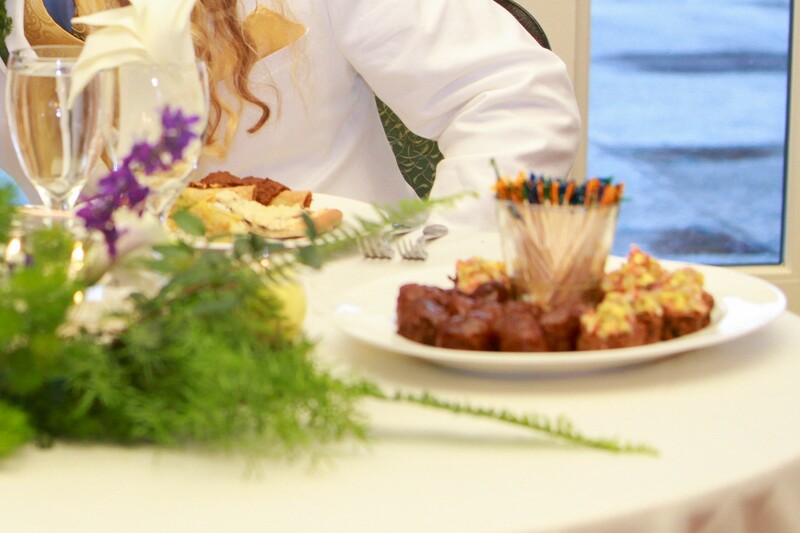 "We gave the chef a recipe from a book for pizza and some of the appetizers. Yeah, it was good. He made some tweaks. They really worked with us. Our experience at River Landing was pretty great," said Jordan. Charlene's favorite dish from the wedding was the vegetable curry. She really likes spicy food. She says her only disappointment was the sushi. "Something about the rice was mushy. That surprised us because we thought that would be one of the easiest things to do. Instead of fish, just use vegetables." Jordan added, "I think maybe they didn't use sushi rice and prepared it too far in advance." 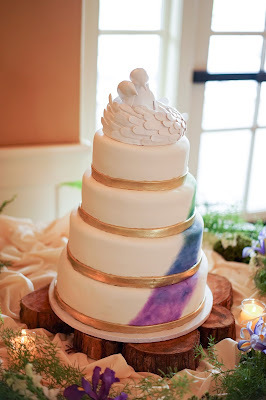 Kaiya Ramsey of Details Cake Design in Raleigh made the wedding cake. The design was stunningly beautiful. Jordan and Charlene knew the right questions to ask to make sure it also tasted good. "Vegan baked goods are easy but there aren't a lot of wedding cake bakers who specialize in it. At a wedding show, that was our question, vegan cakes. When we talked to Kaiya she said absolutely and she knew her stuff so we felt confident going with her because she had done it." said Charlene. Jordan and Charlene did not indicate on their wedding invitations that the menu would be all vegan but they did ask wedding guests to let them know about any food allergies or sensitivities. 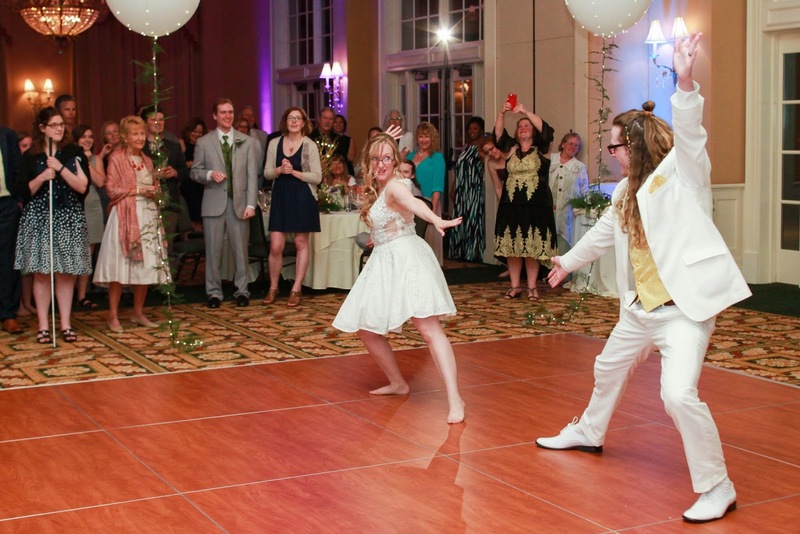 "We've been to many weddings and we couldn't eat anything and not have the energy for dancing or enjoying the party. We eliminated allergens from the food choices to be considerate to people," said Charlene. The couple said they did have conversations with family and friends to let them know what kind of food would be on the menu. They didn't hear any direct complaints about the food. 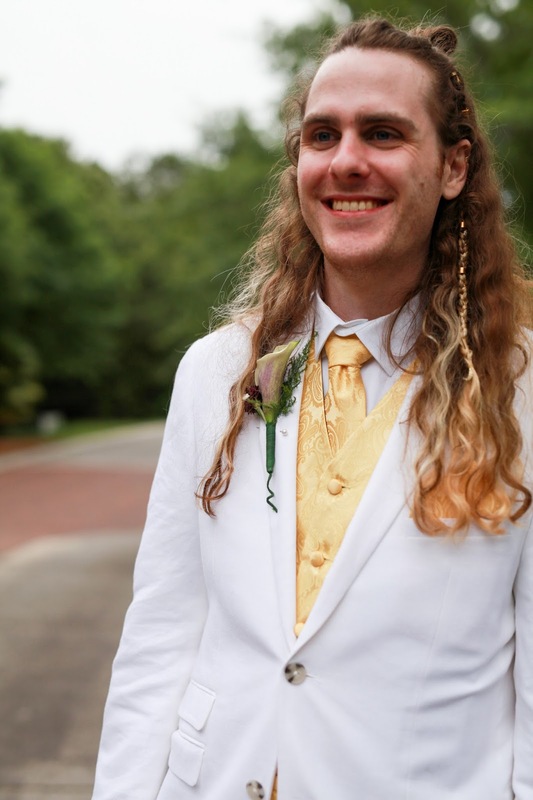 "What we did hear was how much people loved our wedding. People said it was the best wedding they've ever been to and a lot of people commented on how good the food was," said Jordan. The vegan lifestyle not only applies to their food, but what they wear as well. Jordan made sure to shop for clothing and accessories that did not come from an animal. That meant no wool, or leather. He wore a white linen suit and his shoes were faux leather. 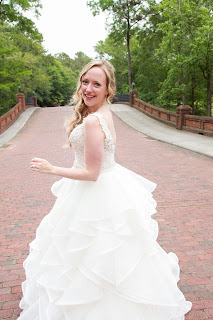 Charlene wore two gorgeous gowns. Neither contained silk or pearls. Jordan said, "when you're vegan for health reasons that's one thing but when you're vegan for ethical reasons, it's something different." 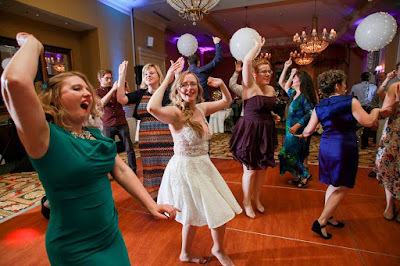 As a wedding vendor, I ate the same food as the wedding guests and didn't realize things were different until I looked at everything on my plate and said to myself, "there's no meat on this plate." 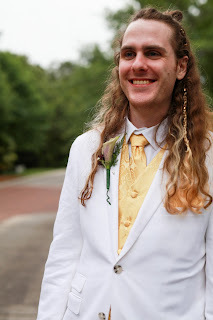 It wasn't until after the wedding was over and I complemented the chef that I realized it wasn't vegetarian as I thought, but rather vegan. The food was absolutely delicious. I didn't miss the meat at all. It was a new experience for me and one I feel so privileged to have been a part of. 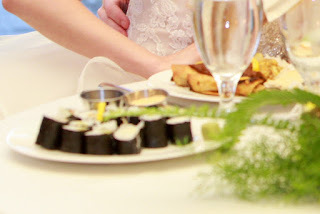 Do you have questions about this experience or are you planning your own vegan wedding? I'd love to know. Leave your comments in the comment section below. All photos by Mike Bambuch of George Street Photo. Thank you for giving me another perspective on wedding receptions. This is an excellent way for guess to learn about a vegan lifestyle and experience a variety of foods without the stress that sometimes comes with trying something new. Their in-house catering is remarkable. The food was delicious. So many of our guests (including and especially the foodies) have told us it was the best food they'd ever had at a wedding. The service at San Francisco wedding venues was impeccable but not overly formal.